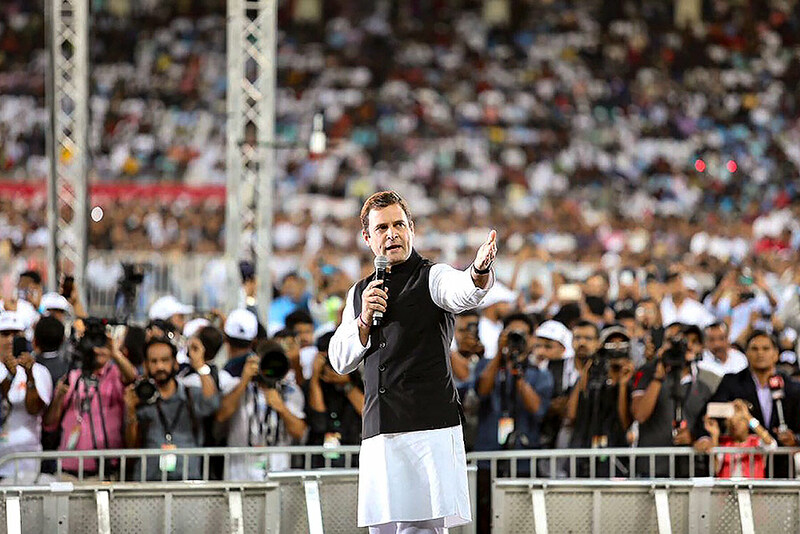 India's M.S. 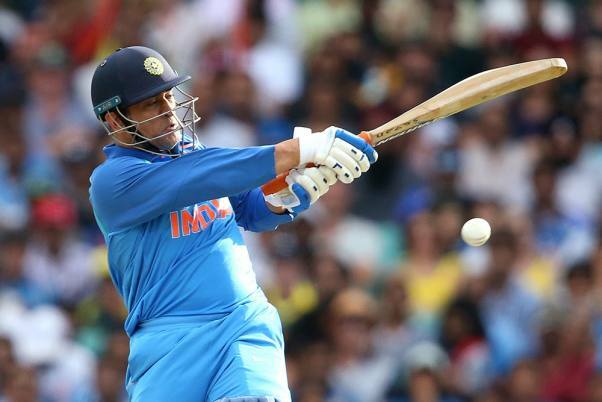 Dhoni drives the ball against Australia during their one day international cricket match in Sydney. Australia's Shaun Marsh falls over the boundary while trying to save 6 runs from India during their one day international cricket match in Sydney. 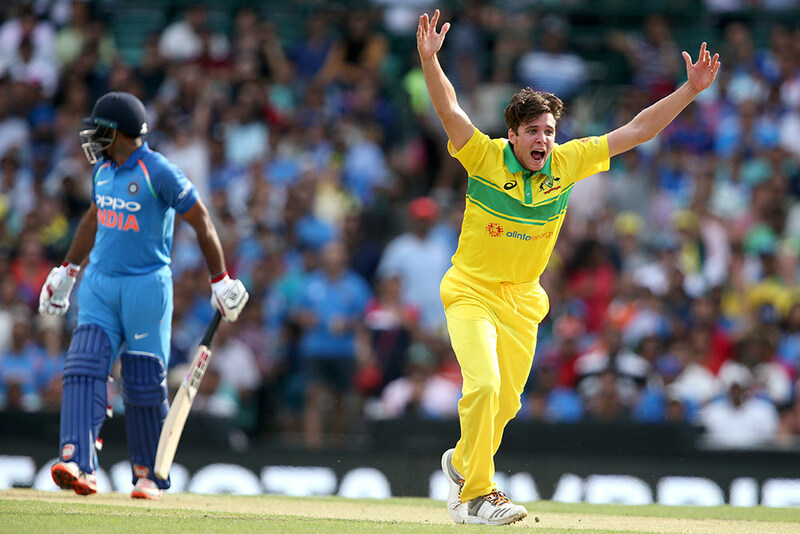 Australia's Jhye Richardson, right, celebrates taking the wicket of India's Ambati Rayudu during their one day international cricket match in Sydney. 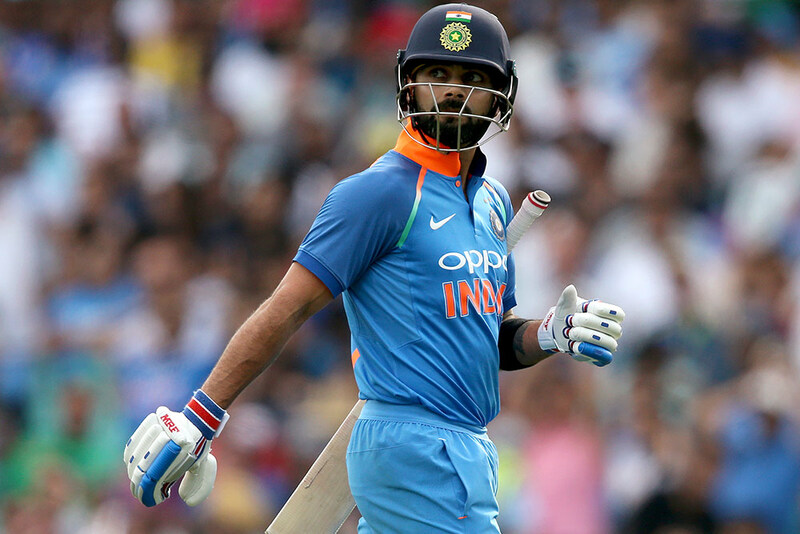 India's Virhat Kohli walks off after he was caught out off the bowling of Australia's Jhye Richardson during their one day international cricket match in Sydney. 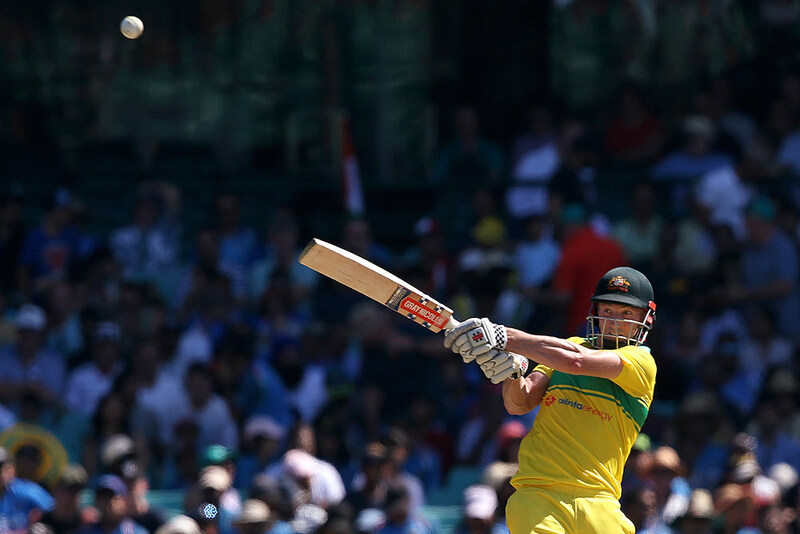 Australia's Shaun Marsh drives the ball for 4 runs off India's Khaleel Ahmed during their one day international cricket match in Sydney. US President Donald Trump holds a photo as he leads a roundtable discussion on border security with local leaders, in the Cabinet Room of the White House in Washington. 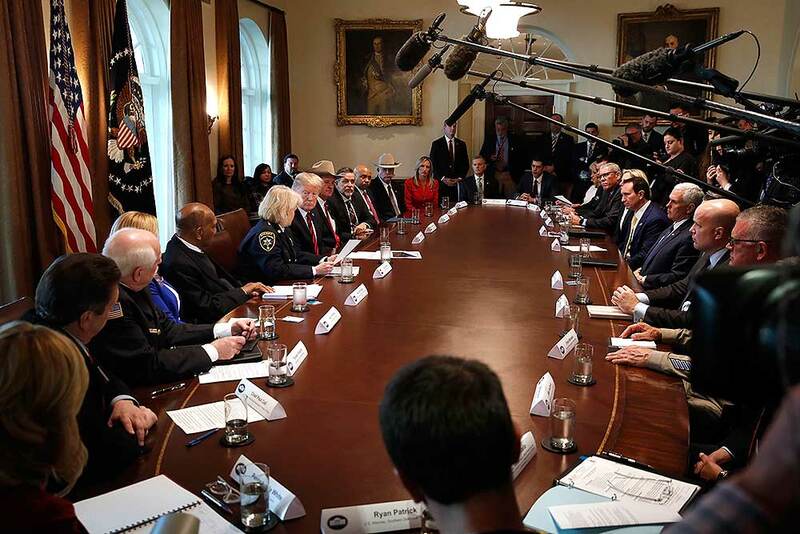 US President Donald Trump, center left, leads a roundtable discussion on border security with local leaders, in the Cabinet Room of the White House in Washington. 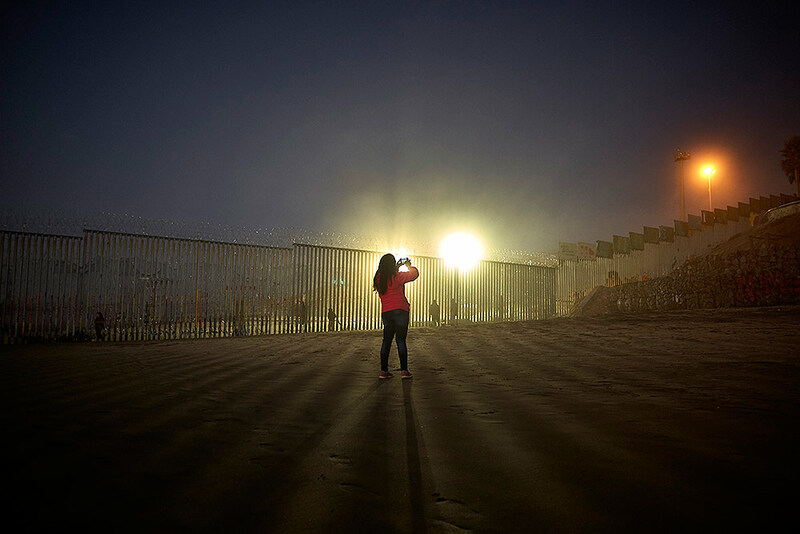 A woman records with her phone, as floodlights from the United States light up the border wall, topped with razor wire along the beach in Tijuana, Mexico. 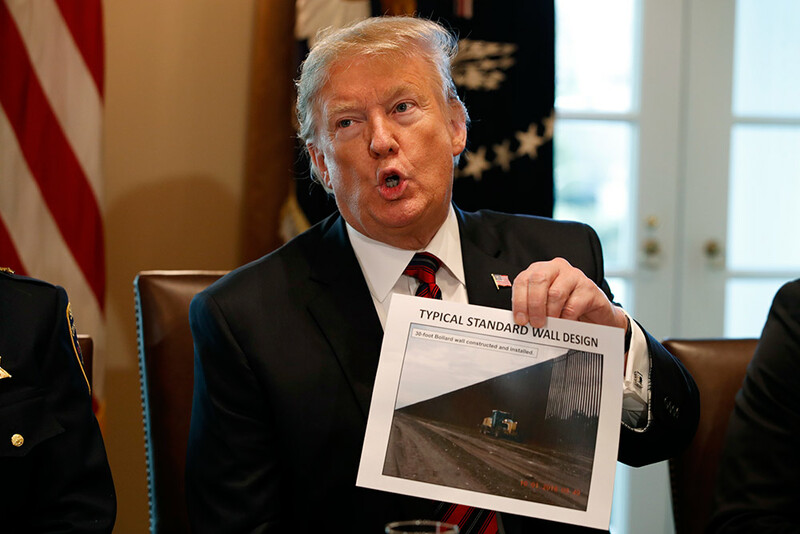 Taking the shutdown fight to the Mexican border, U.S. President Donald Trump edged closer to declaring a national emergency in an extraordinary end run around Congress to fund his long-promised border wall. 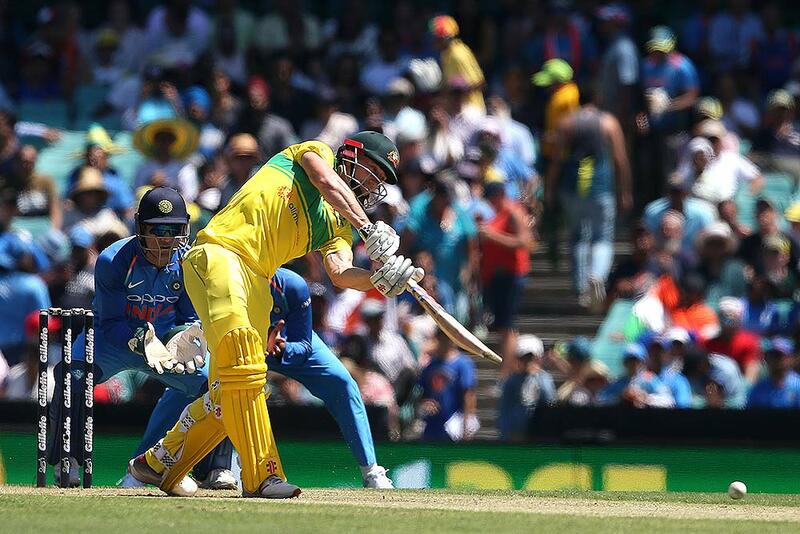 Australia's Shaun Marsh, front, drives the ball against India during their one day international cricket match in Sydney. 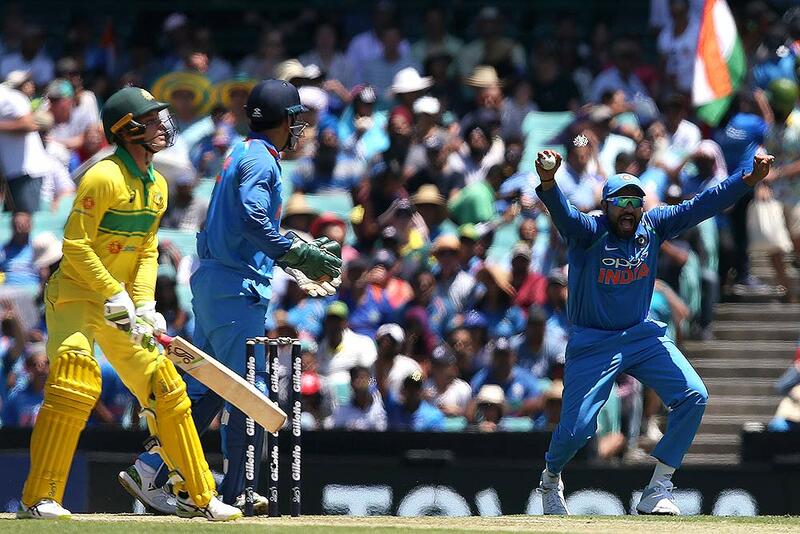 India's Rohit Sharma, right, celebrates catching out Australia's Alex Carey, left, during their one day international cricket match in Sydney. 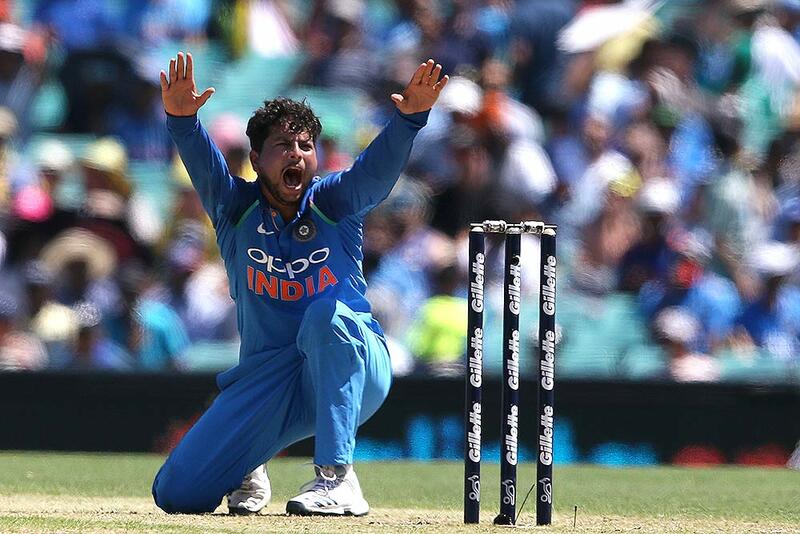 India's Kuldeep Yadav appeals for a wicket against Australia during their one day international cricket match in Sydney. 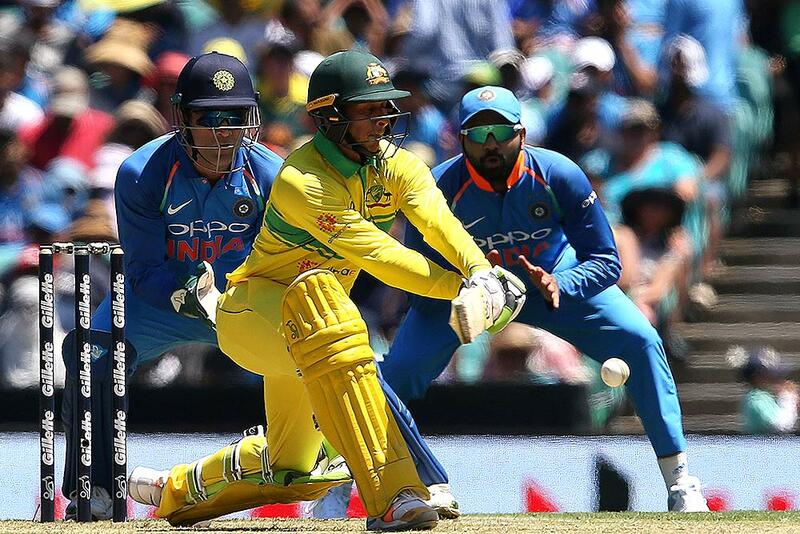 Australia's Usman Khawaja, center, plays a reverse sweep against India during their one day international cricket match in Sydney. India's Ravindra Jadeja, left, celebrates with teammate M.S. 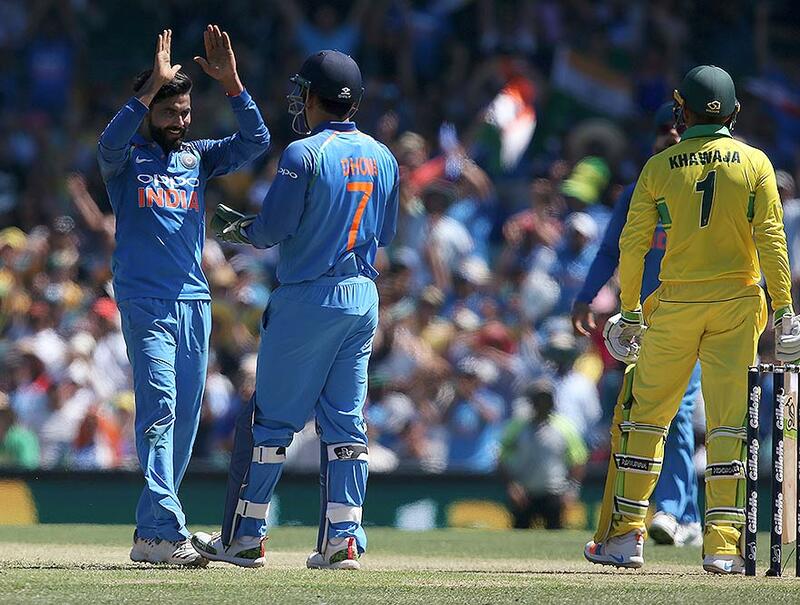 Dhoni after trapping Australia's Usman Khawaja, right, LBW during their one day international cricket match in Sydney. 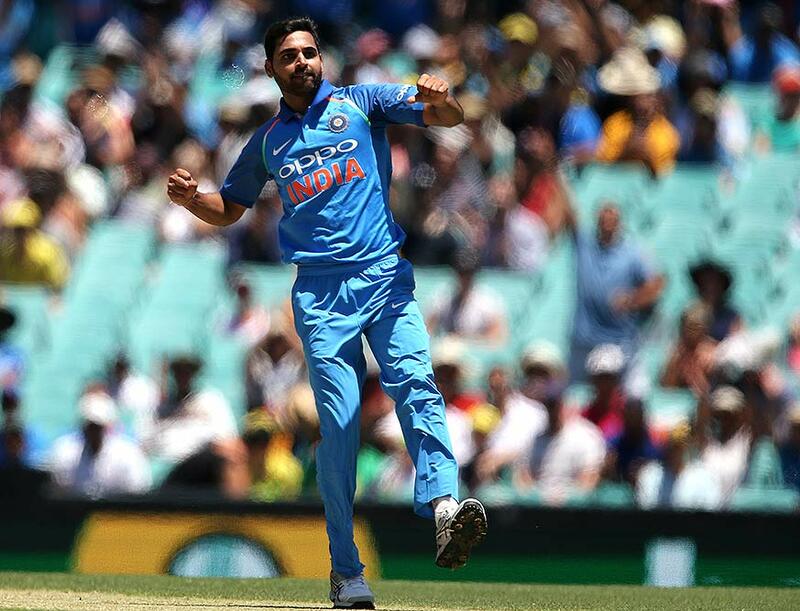 India's Bhuvneshwar Kumar celebrates after bowling out Australia's Aaron Finch during their one day international cricket match in Sydney. 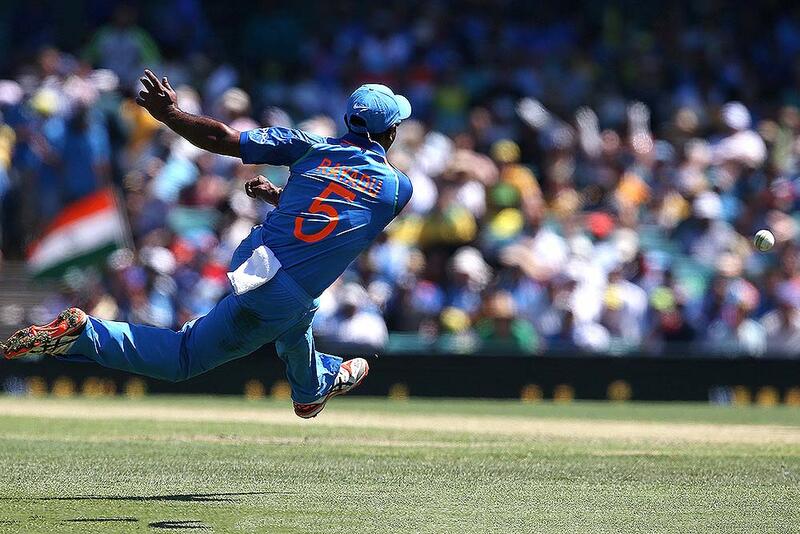 India's Ambati Rayudu throws the ball while fielding against Australia during their one day international cricket match in Sydney. 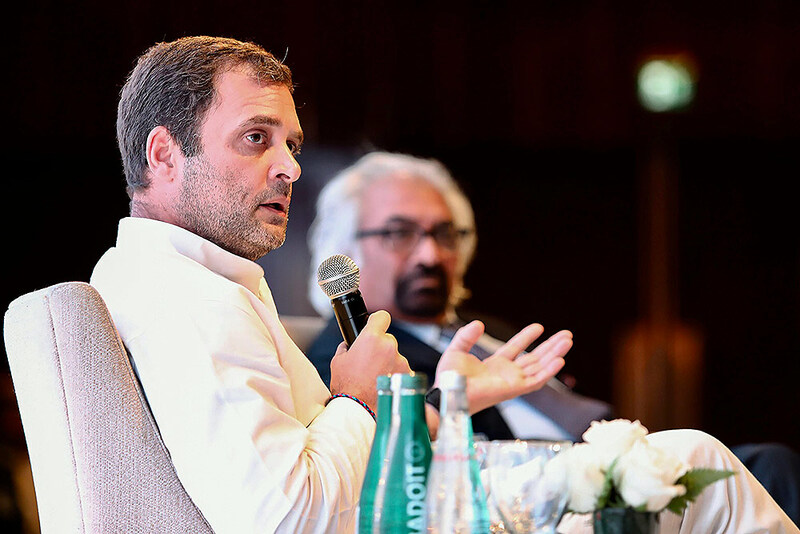 Congress President Rahul Gandhi addresses Indian Business and Professional Council Meeting, in Dubai. 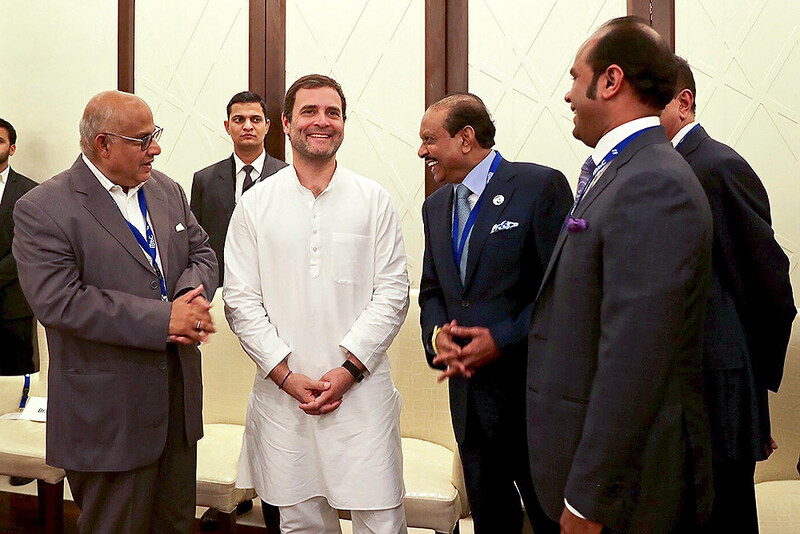 Congress President Rahul Gandhi at Indian Business and Professional Council Meeting, in Dubai. 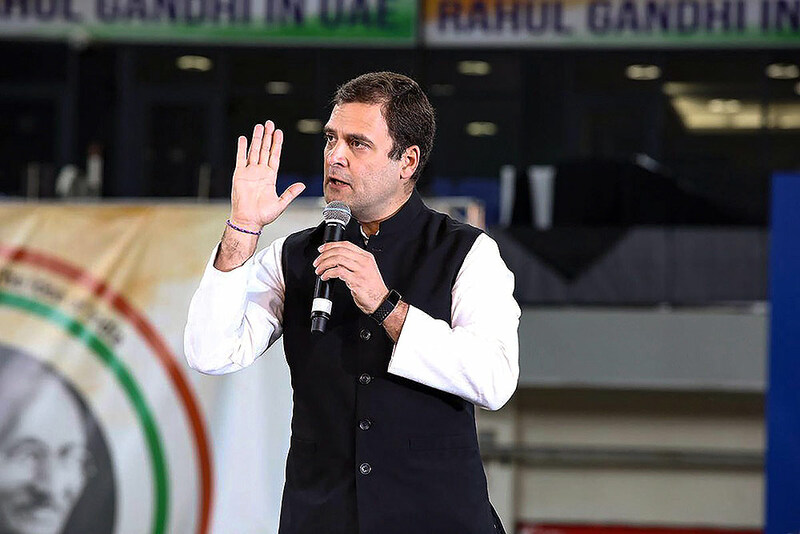 Congress President Rahul Gandhi addresses Indian diaspora, in Dubai. 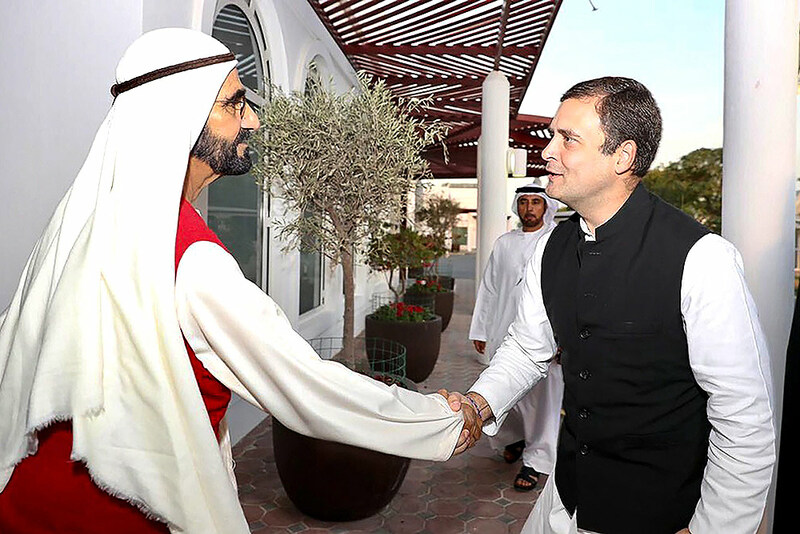 Congress President Rahul Gandhi shakes hands with Vice-President and Prime Minister of the UAE, Sheikh Mohammed bin Rashid Al Maktoum, in Dubai. 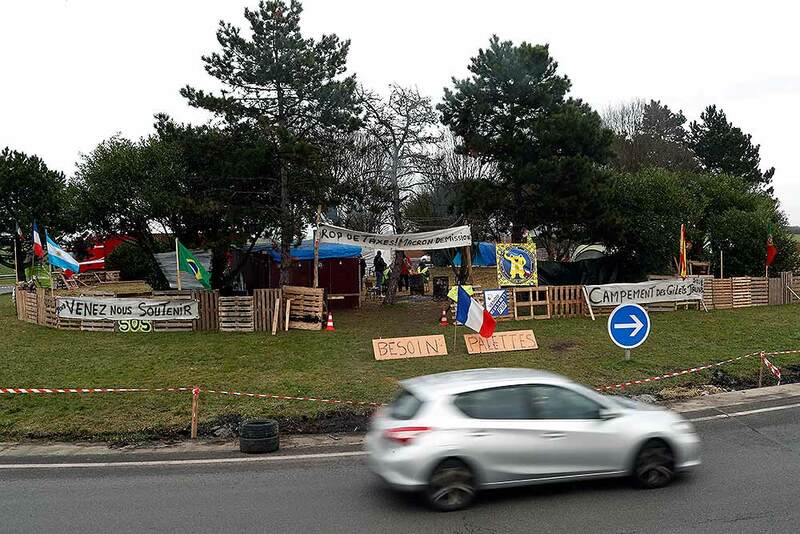 Protestors wearing yellow vests occupy a makeshift camp in a roundabout near Senlis, north of Paris. 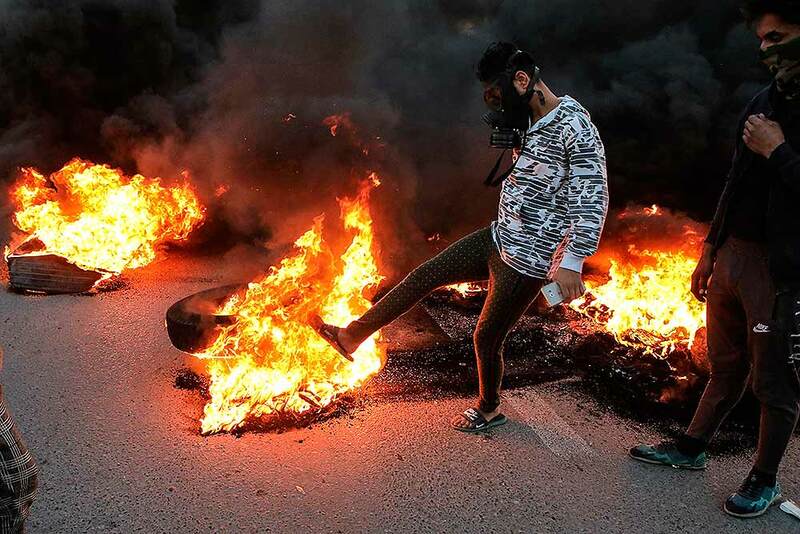 With its makeshift grocery, camp beds and community spirit, the large central island about 60 kilometers north of Paris has been transformed over the past two months into an encampment where dozens of yellow vests protesters gather day in day out to organize their long-standing fight against the French government. 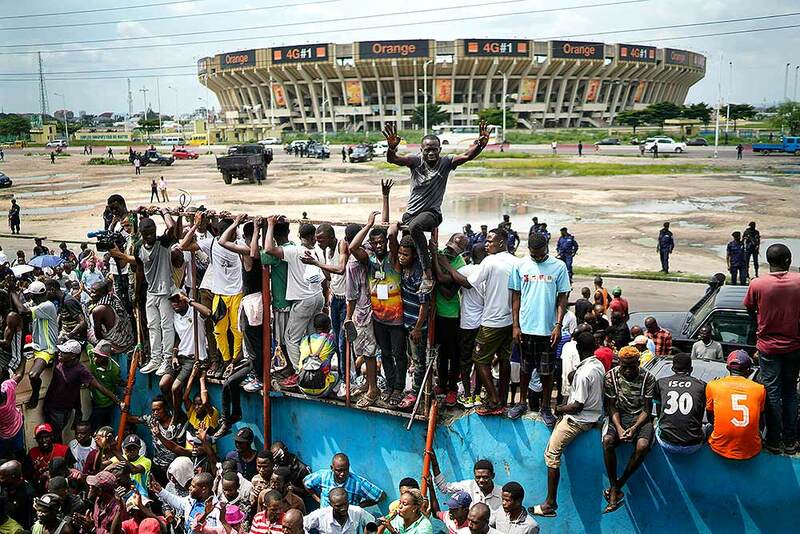 Supporters of spurned Congo opposition candidate Martin Fayulu listen to his speech at a rally in Kinshasha, Congo. Hundreds gathered to denounce what they called "the people's stolen victory" in the presidential election. 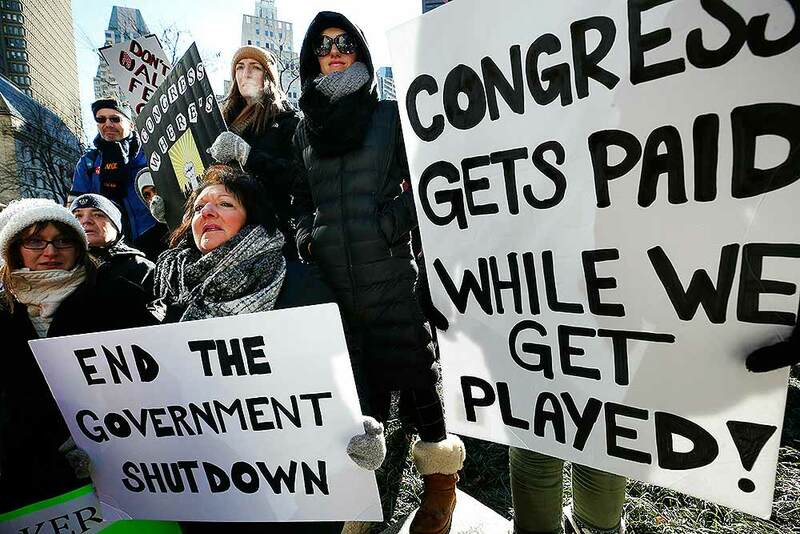 Government workers and their supporters hold signs during a protest in Boston. 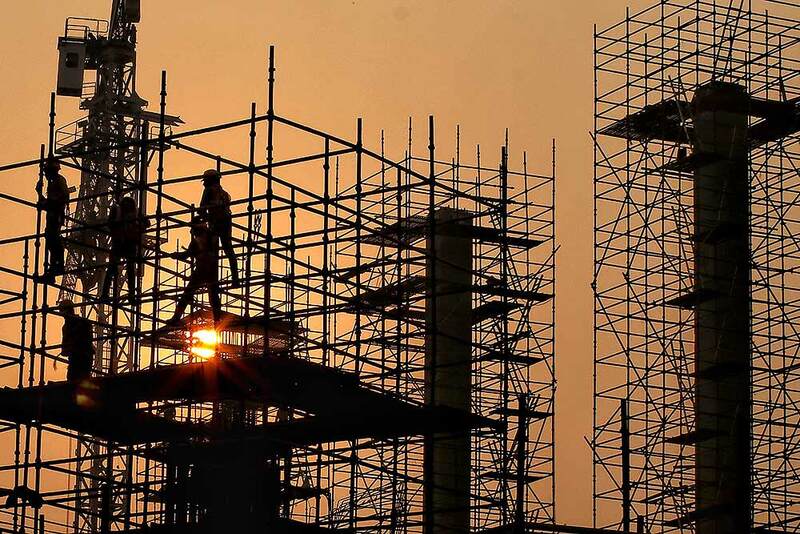 The workers rallied with Democratic U.S. Sen. Ed Markey and other supporters to urge that the Republican president put an end to the shutdown so they can get back to work. 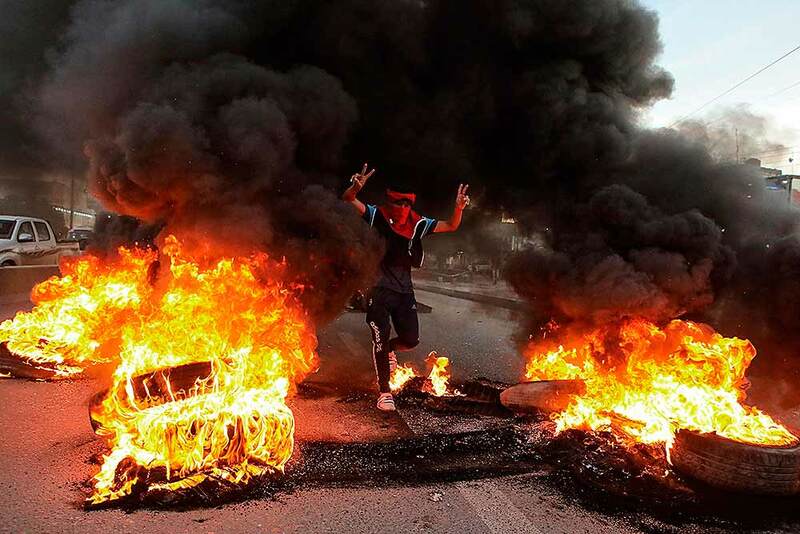 Protesters burn tires outside the provincial council building during a demonstration demanding better public services and jobs in Basra, southeast of Baghdad, Iraq. 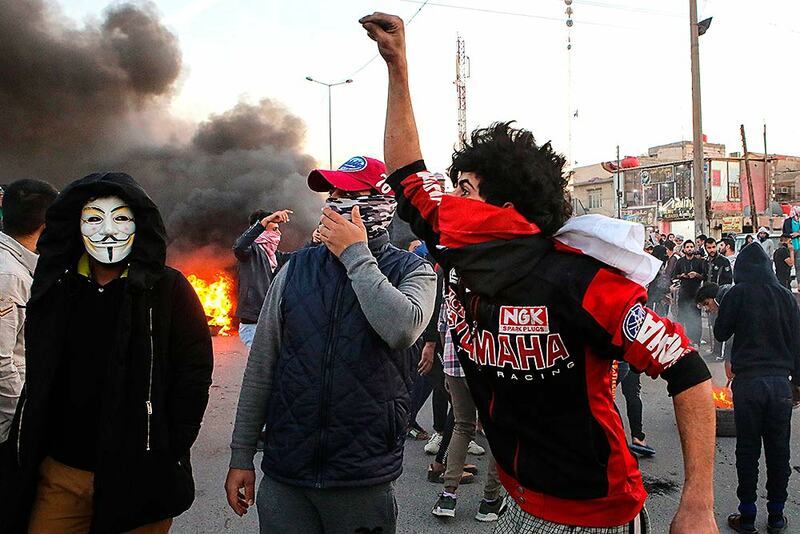 Protesters chant slogans in front of the provincial council building during a demonstration demanding better public services and jobs in Basra, southeast of Baghdad, Iraq. Protestors demonstrate in downtown Seattle. 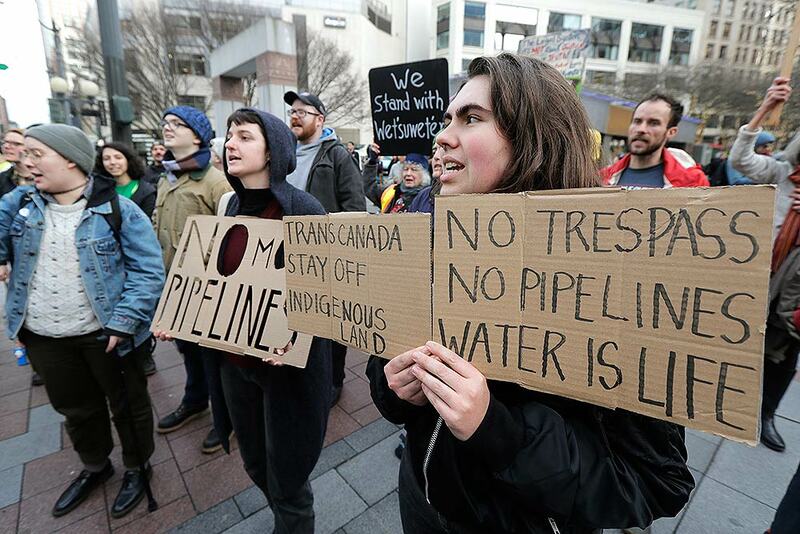 The protest was in support of the Wet'suwet'en First Nation, a community in British Columbia, Canada opposing a natural gas pipeline. 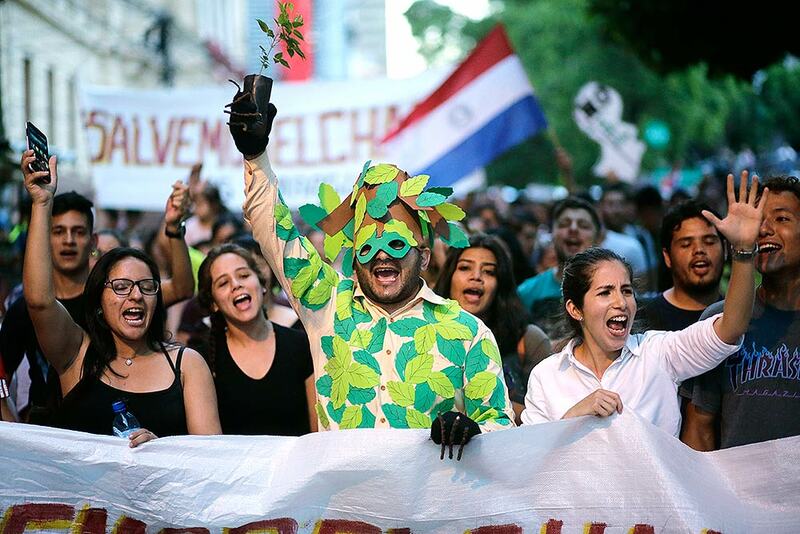 People march to protest against the deforestation of the Chaco region, in Asuncion, Paraguay. 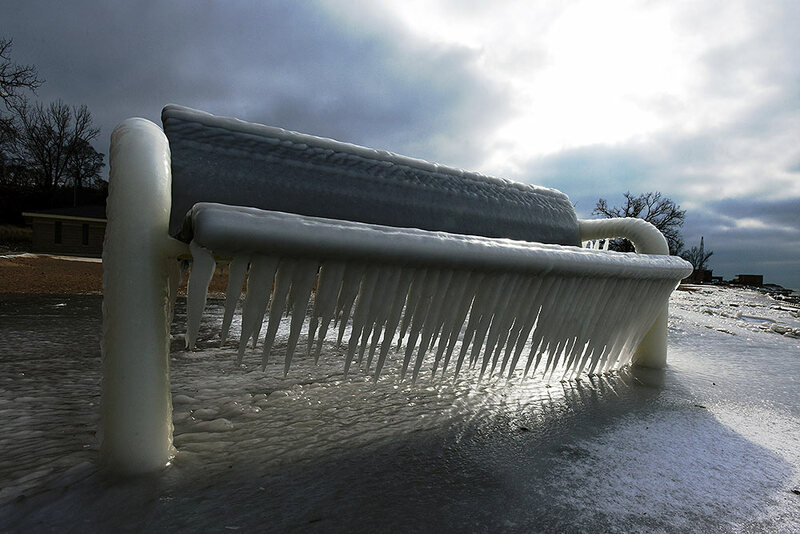 Layers of ice coat a bench at Lions Park as the sun peeks through clouds along the shores of Lake Michigan in St. Joseph, Michigan. 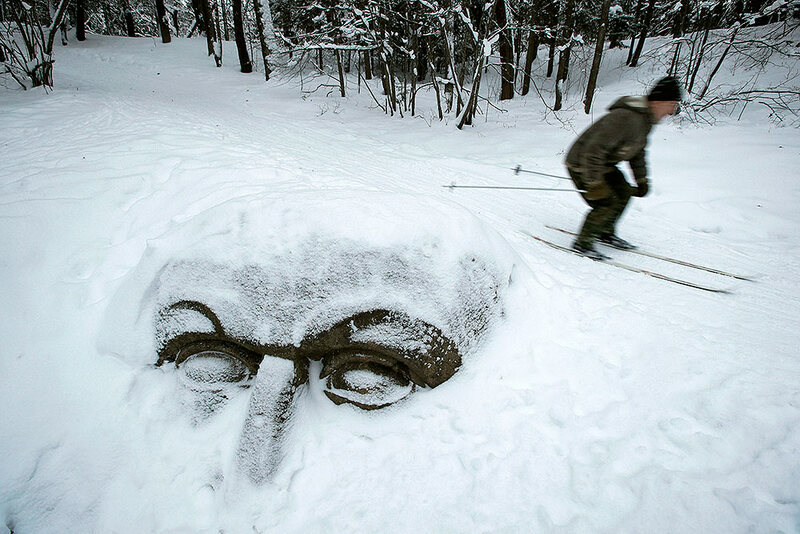 A man skis past a snowy huge head carved out of stone and buried in the ground in Sergievka park outside St.Petersburg, Russia. 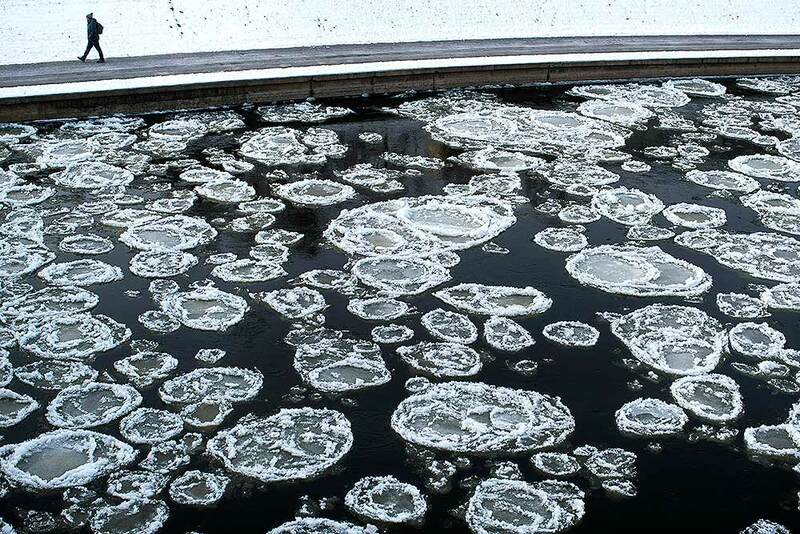 Low temperatures caused a week of snowfall in St. Petersburg. The sculpture of an unknown man, carved in a giant granite boulder, is from the 19th century but the history of its appearance in the park is unknown. A person walks along the bank of the Neris River as temperatures dipped to -13 degrees Celsius (8.6 degrees Fahrenheit) in Vilnius, Lithuania. 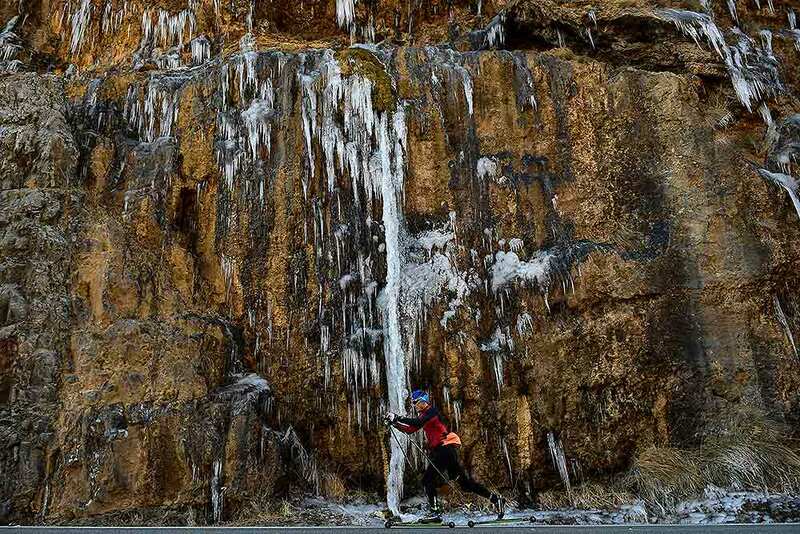 A man skis on the road while passing a stone wall covered with icicles near to the small Pyrenees town of El Roncal, northern Spain. 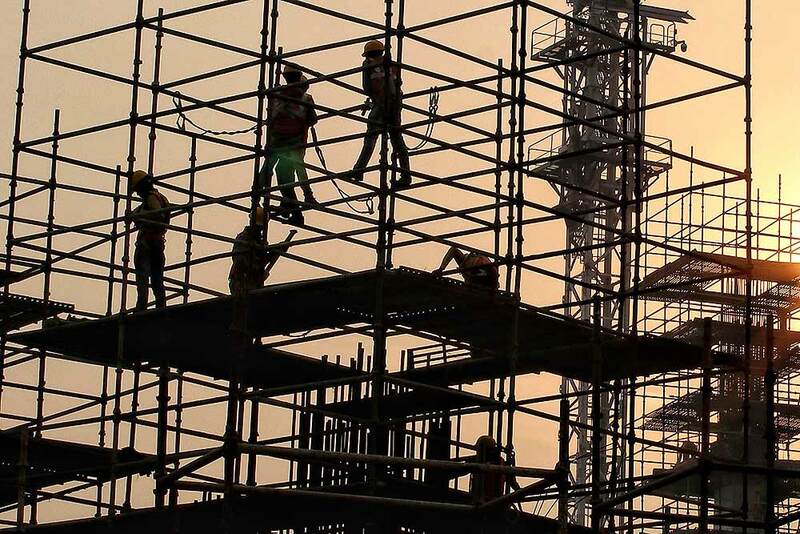 Extreme low temperatures will affect the country during the coming week. 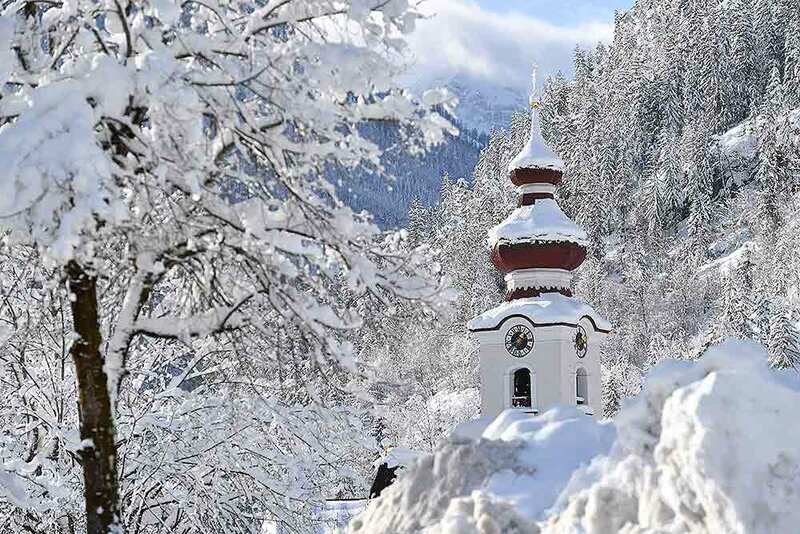 The steeple of the Loferer church is seen through the snow in Lofer, Austrian province of Salzburg. 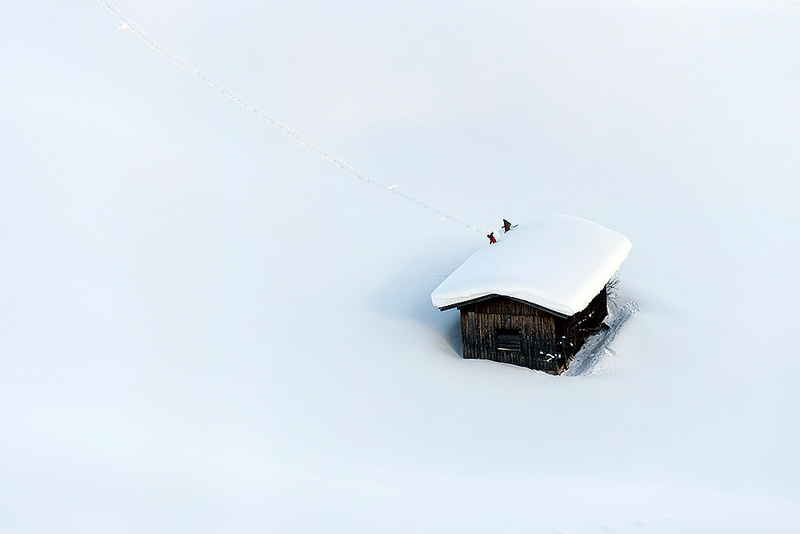 People clear a roof from snow in Lofer, Austrian province of Salzburg. In Salzburg, all parks, public gardens, play areas and cemeteries were closed because of the danger of trees falling under the weight of snow. 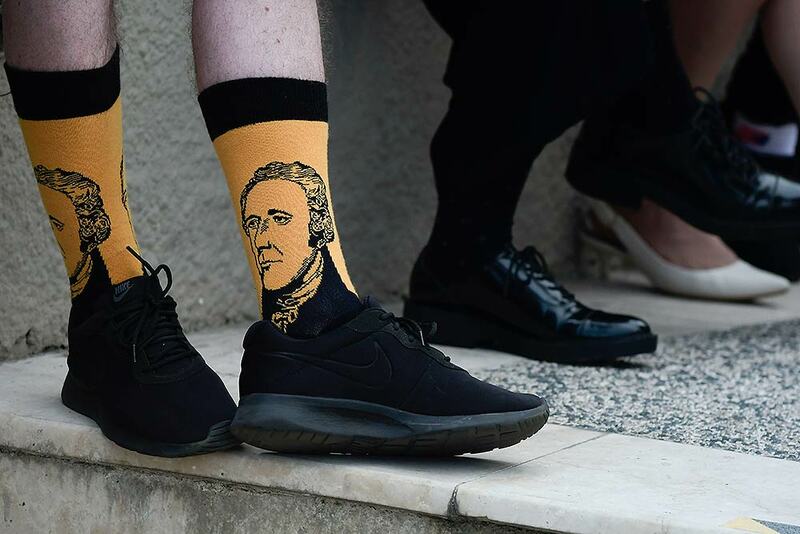 Scotland national Paul Mcque wears Hamilton socks in the entrance plaza of the Santurce Fine Arts Center moments before the premiere of the award-winning Broadway musical, Hamilton, starring its creator, New York native of Puerto Rican descent Lin-Manuel Miranda, in San Juan, Puerto Rico. The musical is set to run for two weeks and will raise money for local arts programs. 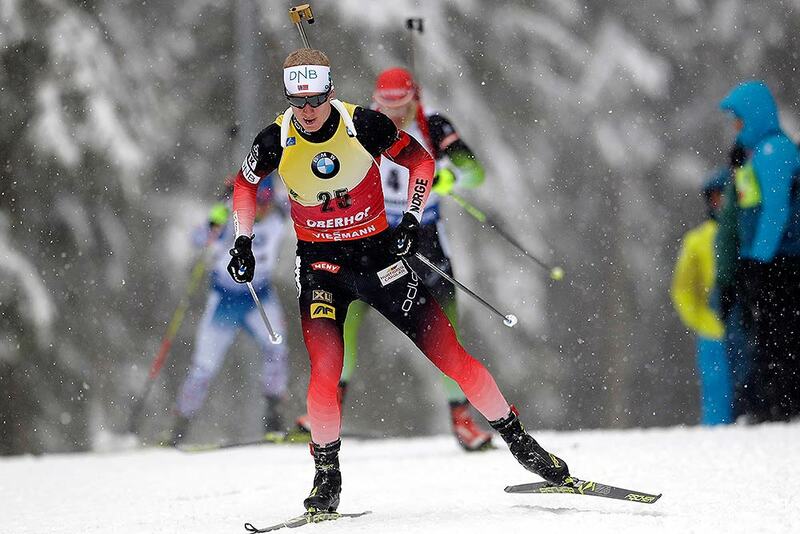 Norway's Johannes Thingnes Boe competes in the men's Biathlon World Cup 10 km sprint event in Oberhof, Germany. 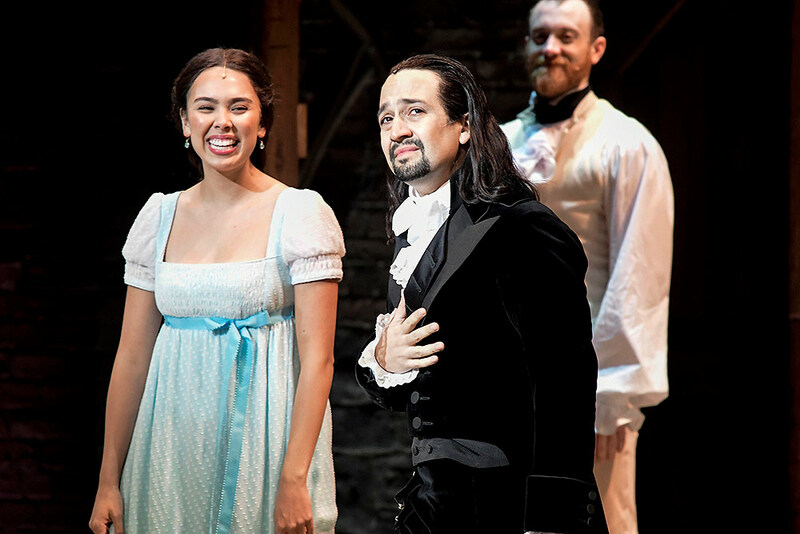 Lin-Manuel Miranda, composer and creator of the award-winning Broadway musical, Hamilton, receives a standing ovation with tears at the ending of the play's premiere held at the Santurce Fine Arts Center, in San Juan, Puerto Rico. The musical is set to run for two weeks and will raise money for local arts programs. 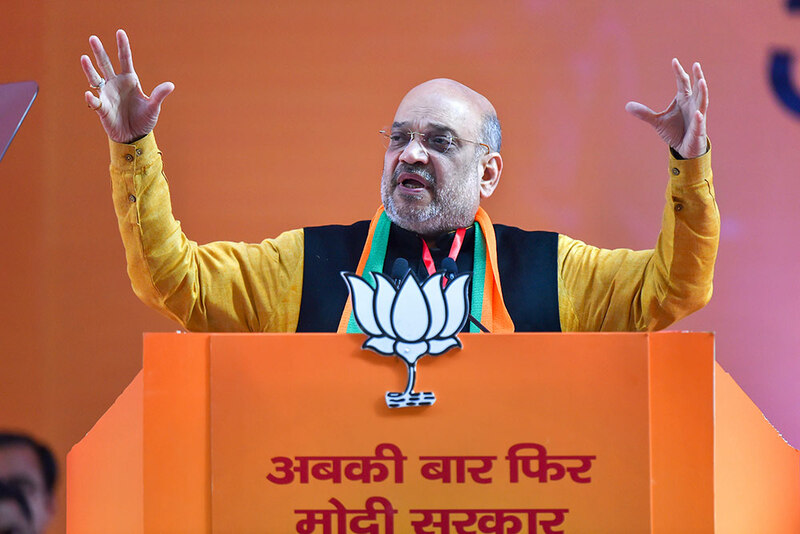 BJP National President Amit Shah addresses on the second day of the two-day BJP National Convention, at Ramlila Ground in New Delhi. 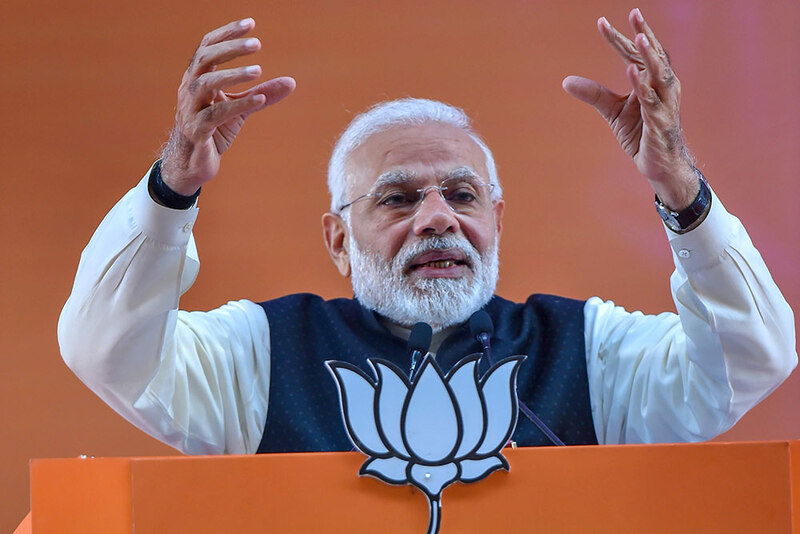 Prime Minister Narendra Modi addresses on the second day of the two-day BJP National Convention, at Ramlila Ground in New Delhi. 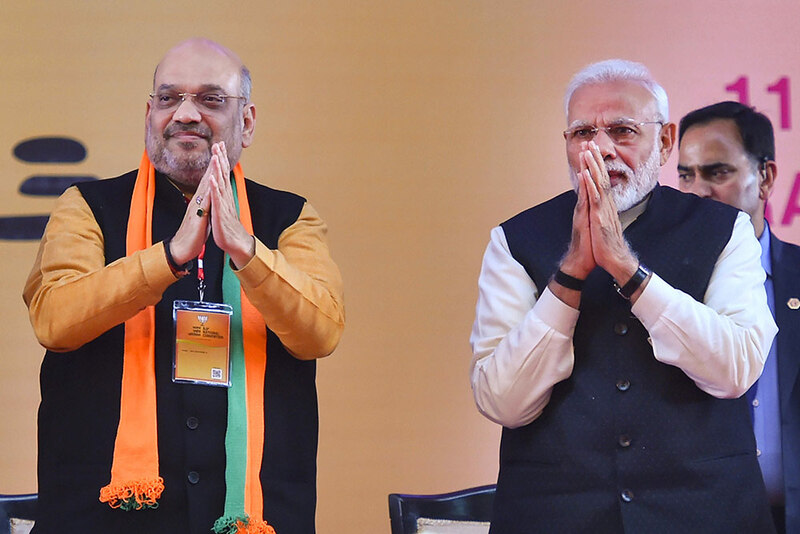 Prime Minister Narendra Modi with BJP National President Amit Shah on the second day of the two-day BJP National Convention, at Ramlila Ground in New Delhi. 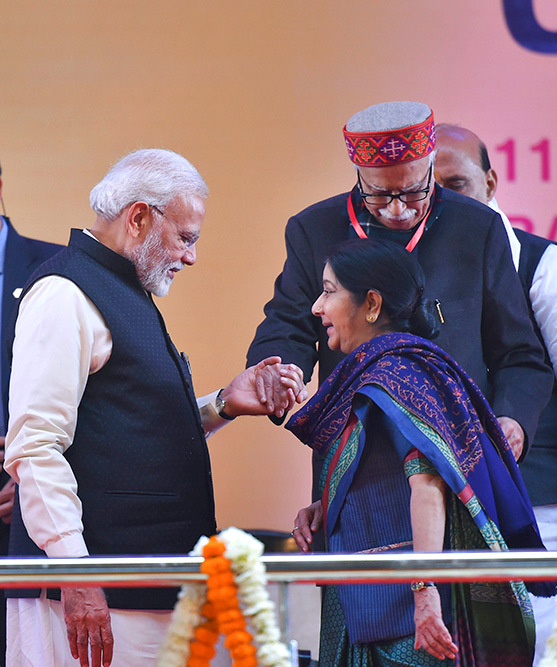 Prime Minister Narendra Modi with senior party leader L K Advani and Sushma Swaraj on the second day of the two-day BJP National Convention, at Ramlila Ground in New Delhi. 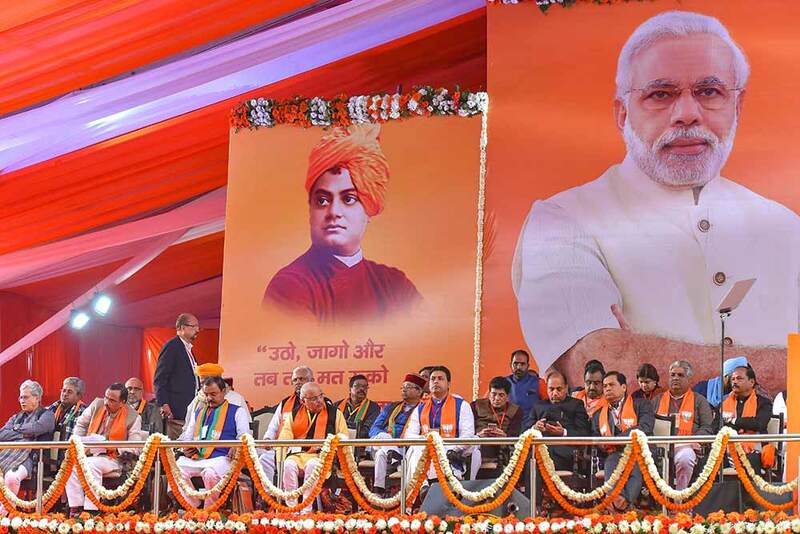 Chief Ministers of BJP ruled states and party leaders during the second day of the two-day BJP National Convention, at Ramlila Ground in New Delhi. 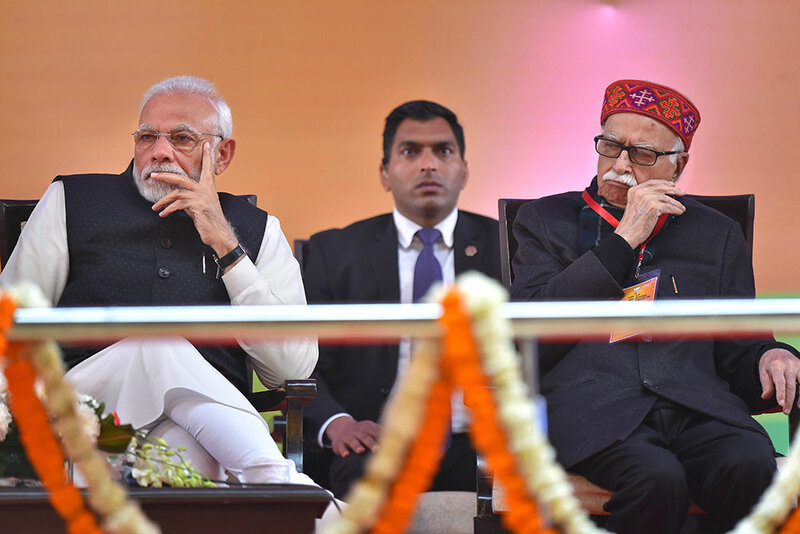 Prime Minister Narendra Modi and senior BJP leader LK Advani on the second day of the two-day BJP National Convention, at Ramlila Ground in New Delhi. 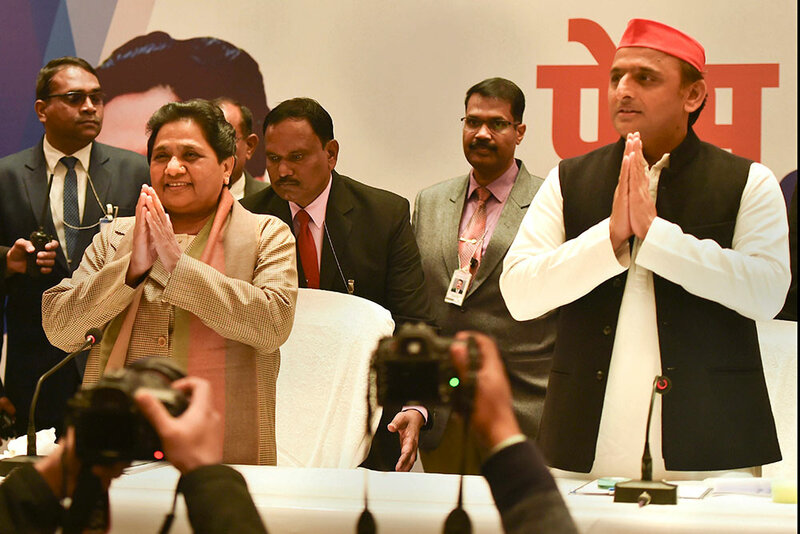 BSP supremo Mayawati and Samajwadi Party President Akhilesh Yadav during a joint press conference, in Lucknow. 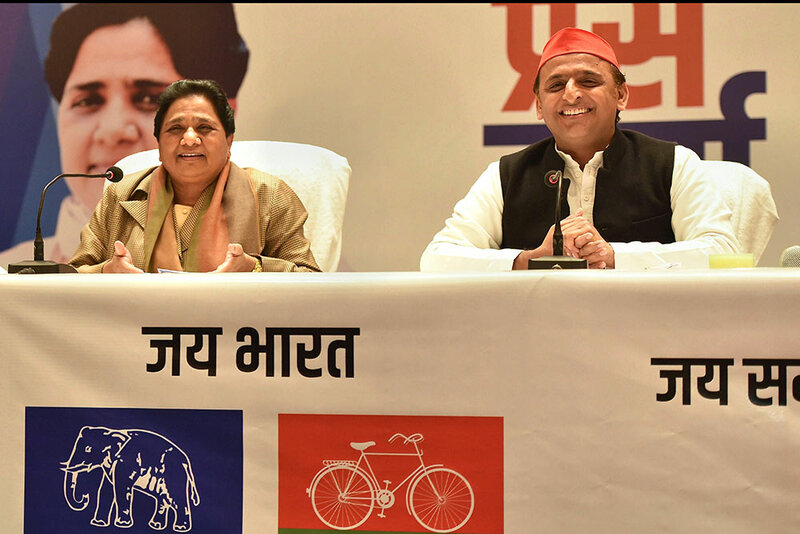 BSP supremo Mayawati and Samajwadi Party chief Akhilesh Yadav during a joint press conference in Lucknow. 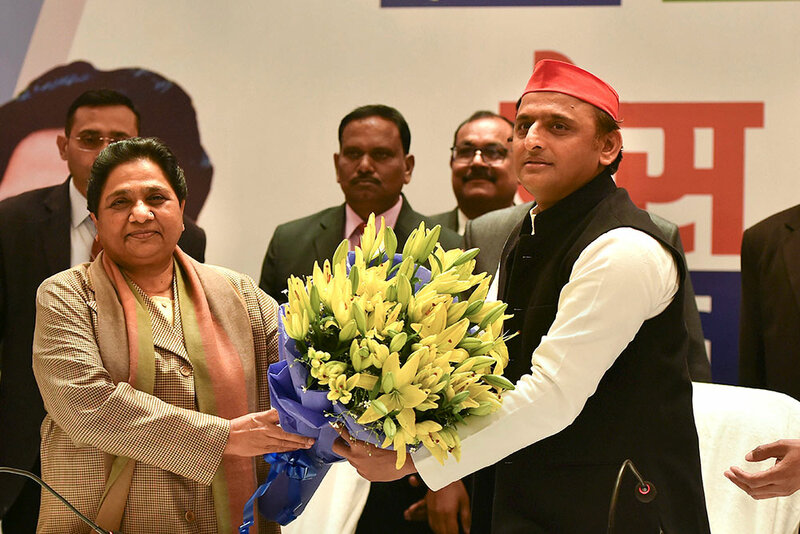 BSP supremo Mayawati being greeted with a bouquet from Samajwadi Party chief Akhilesh Yadav during a joint press conference in Lucknow. 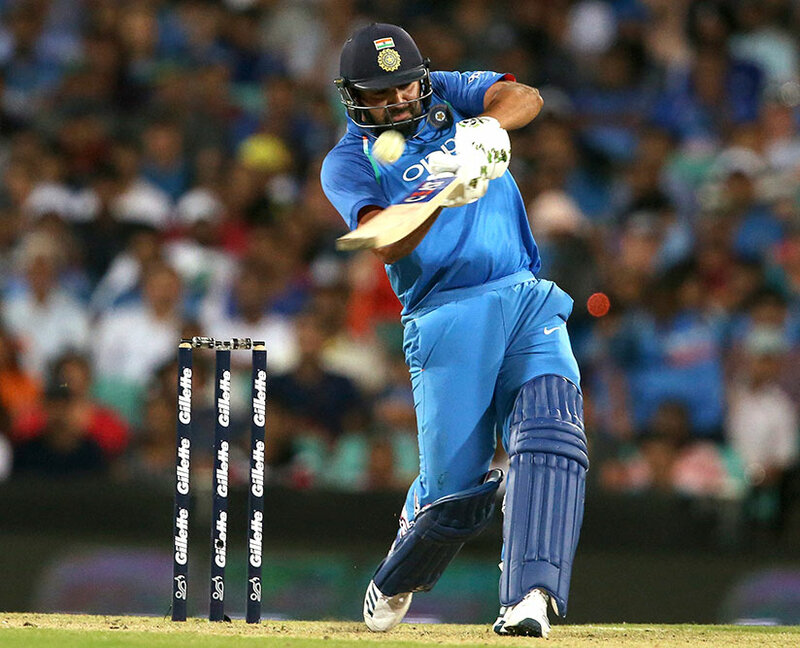 India's Rohit Sharma gets a top edge that will have him caught out against Australia during their one day international cricket match in Sydney. 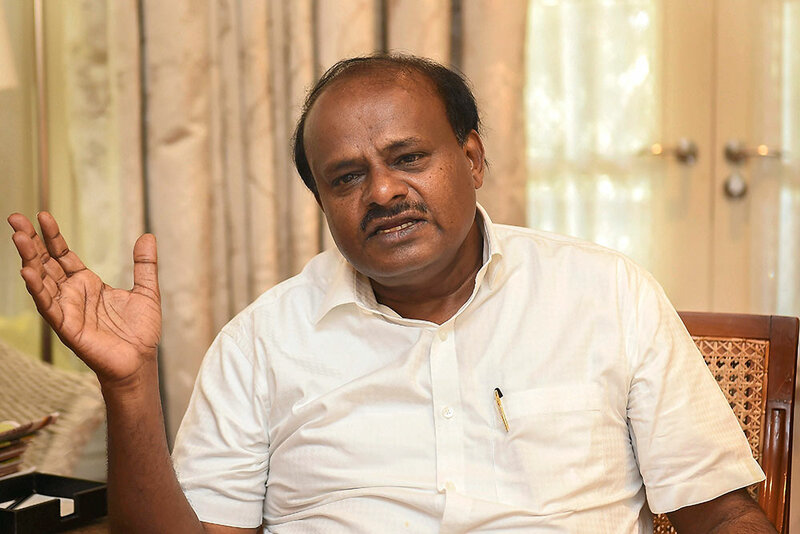 Karnataka Chief Minister HD Kumaraswamy speaks during an interview with PTI, in Bengaluru. 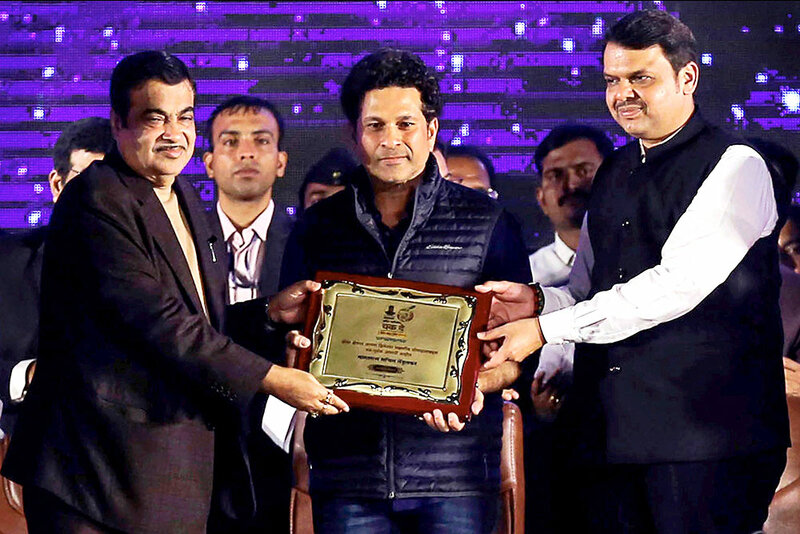 Veteran cricketer Sachin Tendulkar being presented a momento by Union Minister Nitin Gadkari and Maharashtra Chief Minister Devendra Fadnavis (R) during the inauguration and opening ceremony of the second edition of 'Khasdar Krida Mahotsav 2019', in Nagpur. 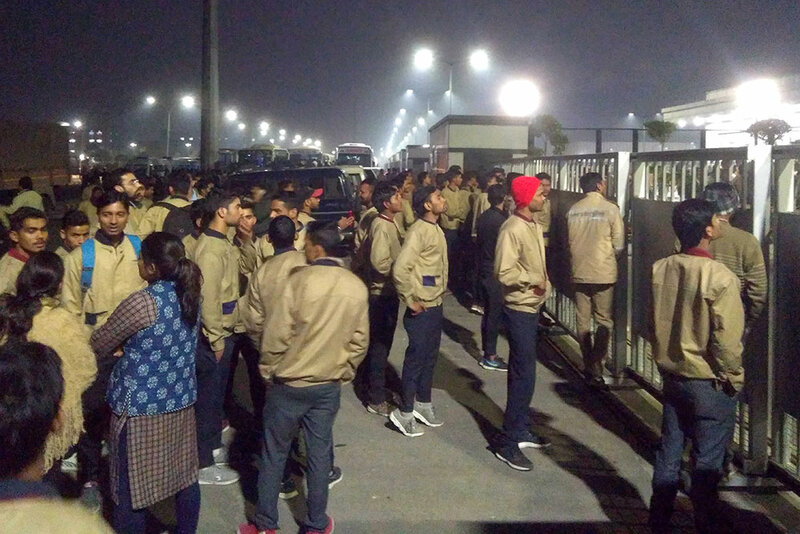 Samsung mobile factory workers stand out side of the factory during their strike in Noida. 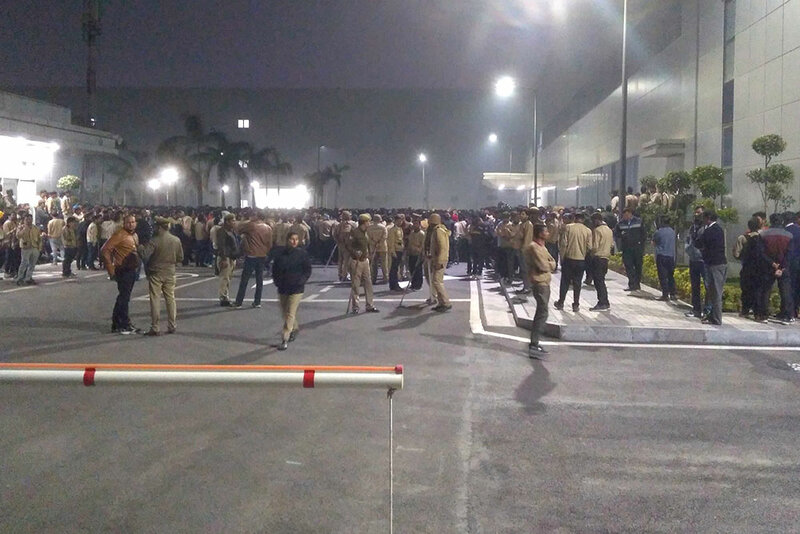 Samsung mobile factory workers protest to their demands in Noida. 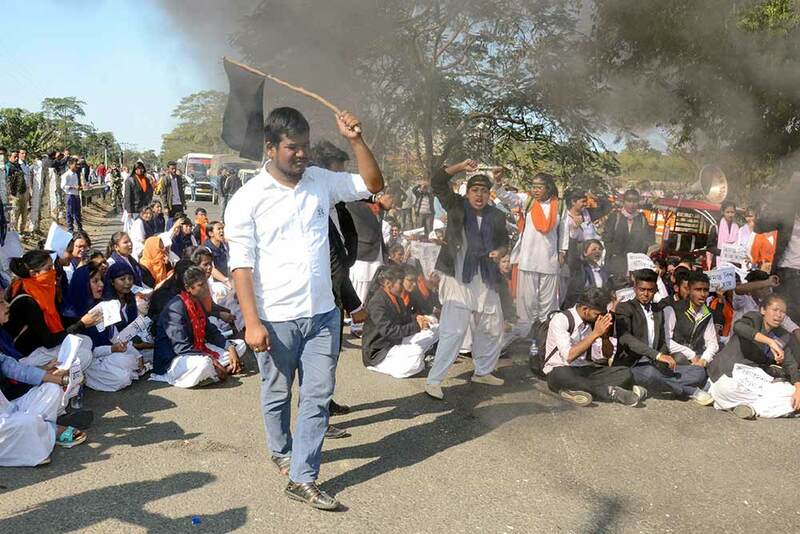 College students block NH 37 in protest against the Citizenship (Amendment) Bill, in Dibrugarh. 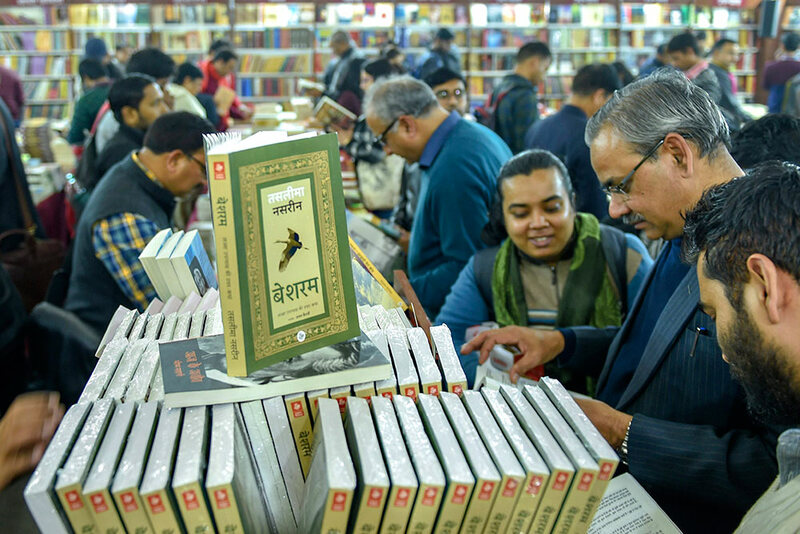 A copy of Bangladeshi author Taslima Nasrin's book 'Besharam' at World Book Fair, in New Delhi. 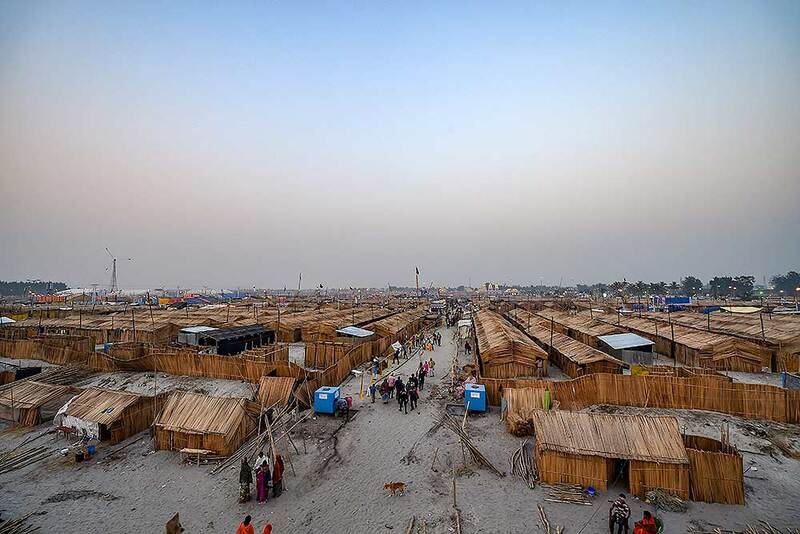 A view of temporary tents set up for pilgrims and visitors on a bank of Sagar Island ahead of Ganga Sagar Mela. 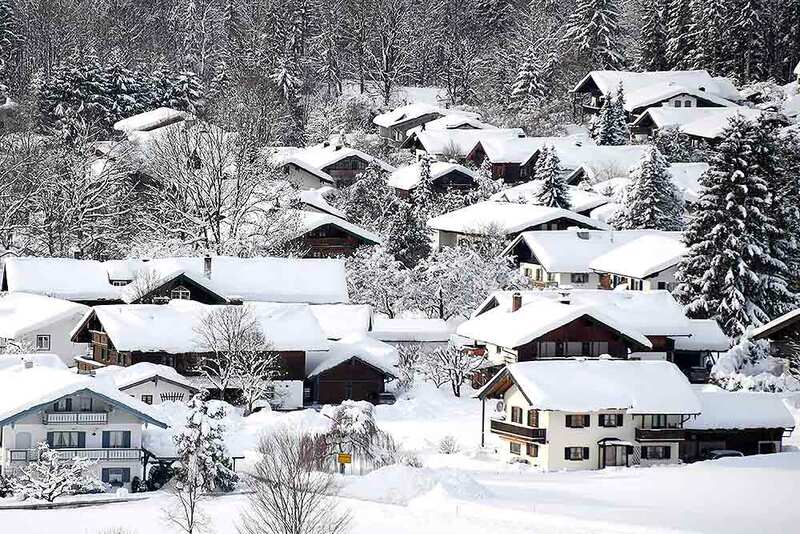 Snow covered the buildings of the village Ruhpolding, Germany. 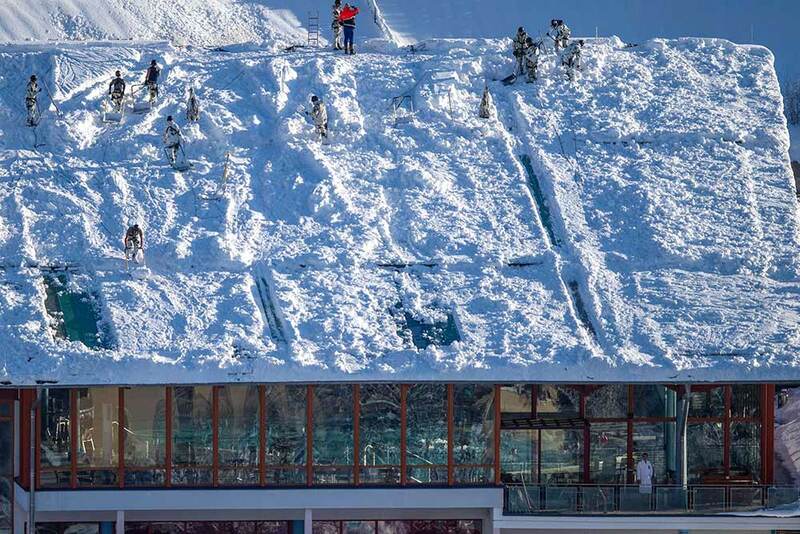 German forces Bundeswehr soldiers clear a snow covered roof of a swimming hall in Berchtegaden. 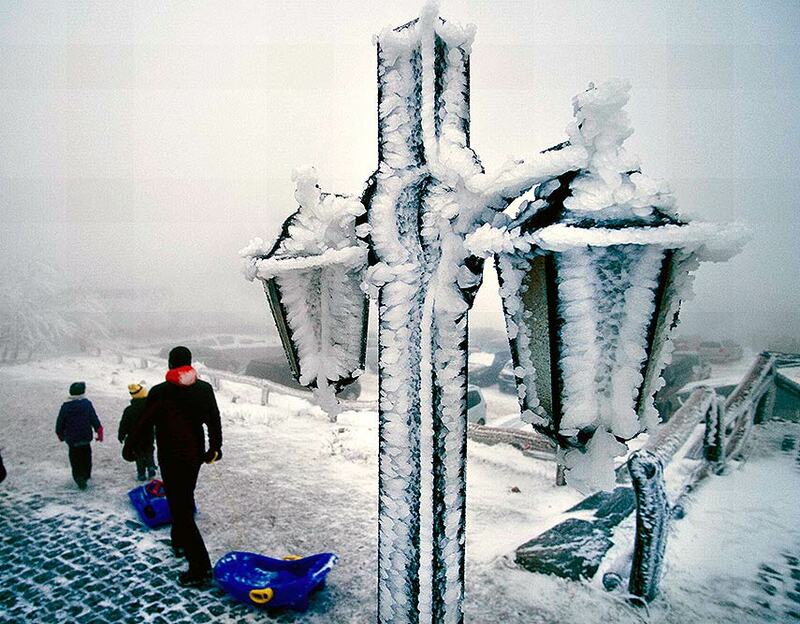 A frozen lamp stands on top of the Feldberg mountain near Frankfurt, Germany, as a family with sleds walks by on a cold. 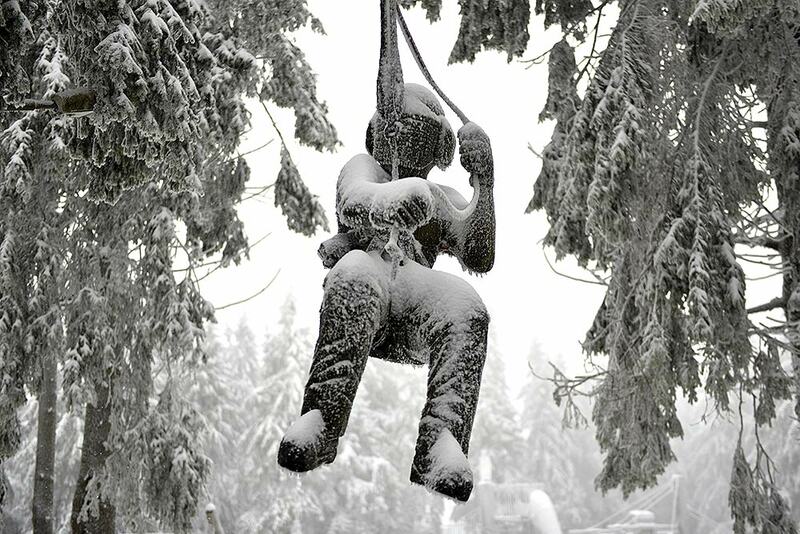 A promotion doll covered with ice and snow hangs between trees near a climbing park at the Wasserkuppe, Germany. 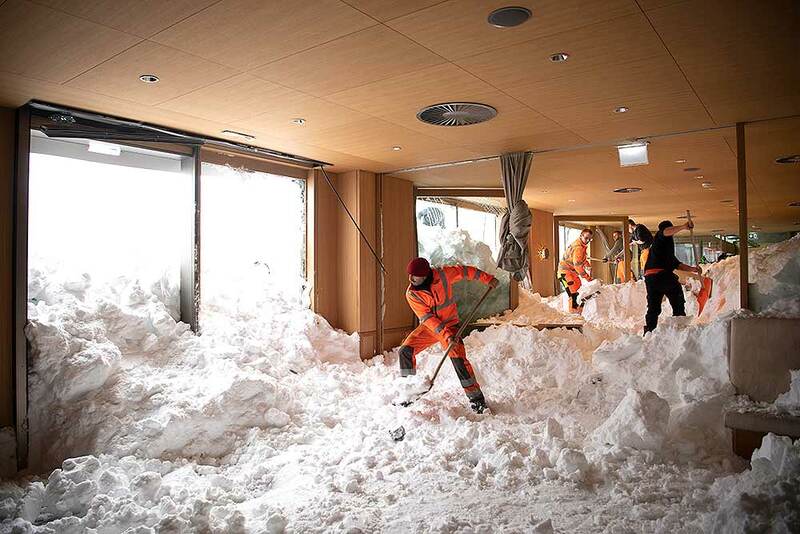 People clear snow from inside the Hotel Saentis in Schwaegalp, Switzerland after an avalanche. 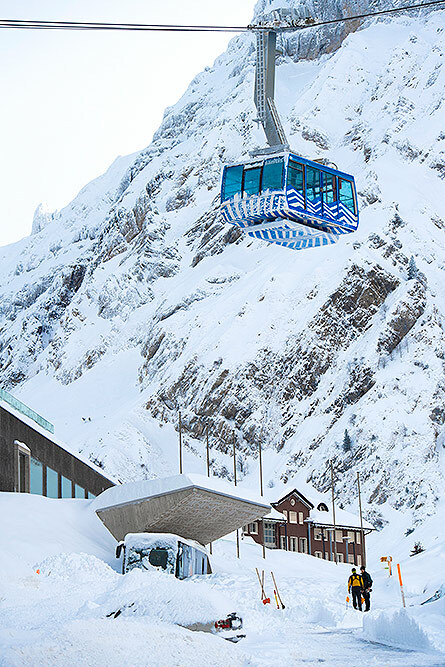 Police said three people were slightly hurt when the avalanche hit the hotel at Schwaegalp. 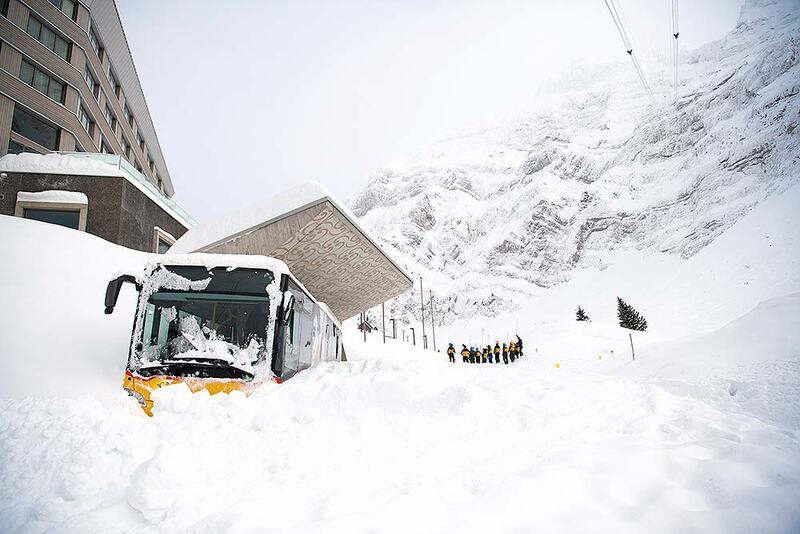 Snow is piled up outside the Hotel Saentis in Schwaegalp, Switzerland after an avalanche. 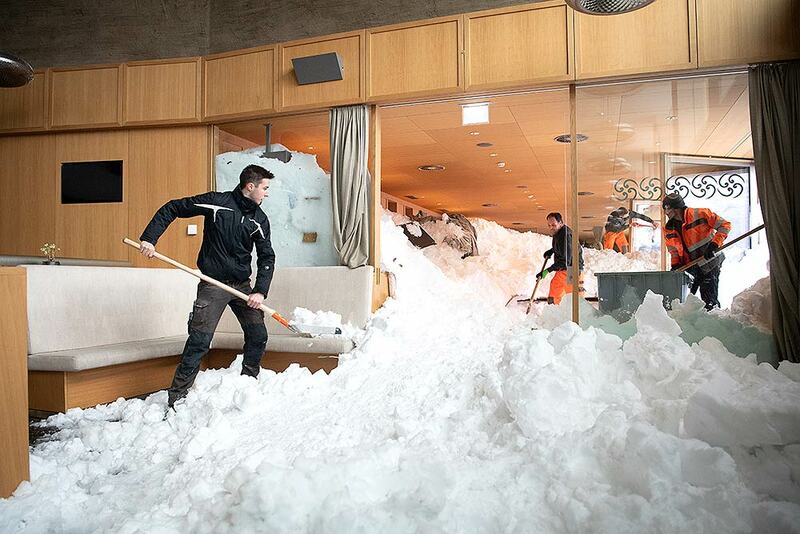 People clear snow from inside the Hotel Saentis in Schwaegalp, Switzerland after an avalanche. 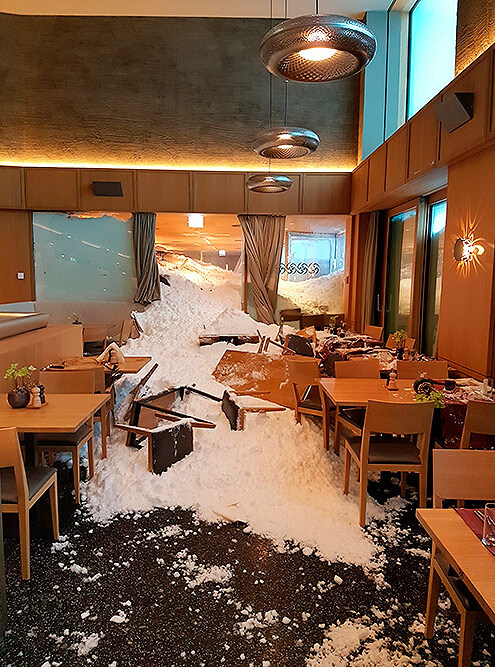 Snow enters the inside of the Hotel Saentis on the Schwaegalp, Switzerland after an avalanche. . 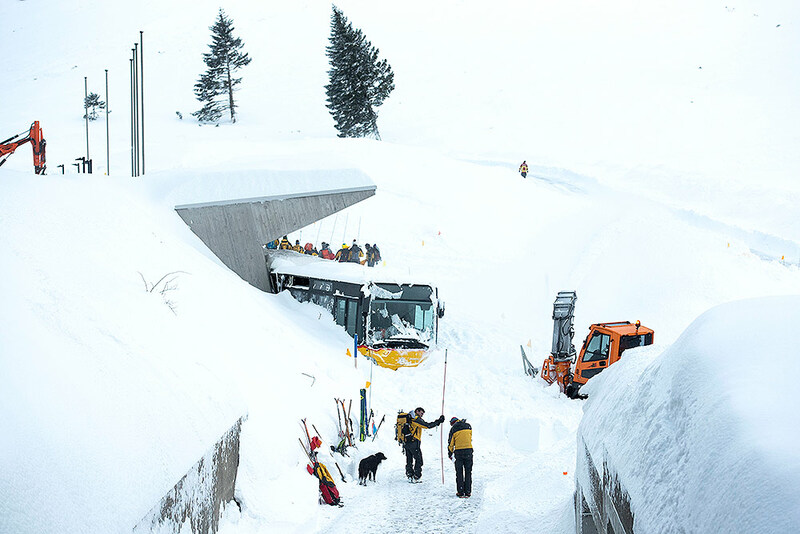 Snow is piled up outside the Hotel Saentis on the Schwaegalp, Switzerland after an avalanche. 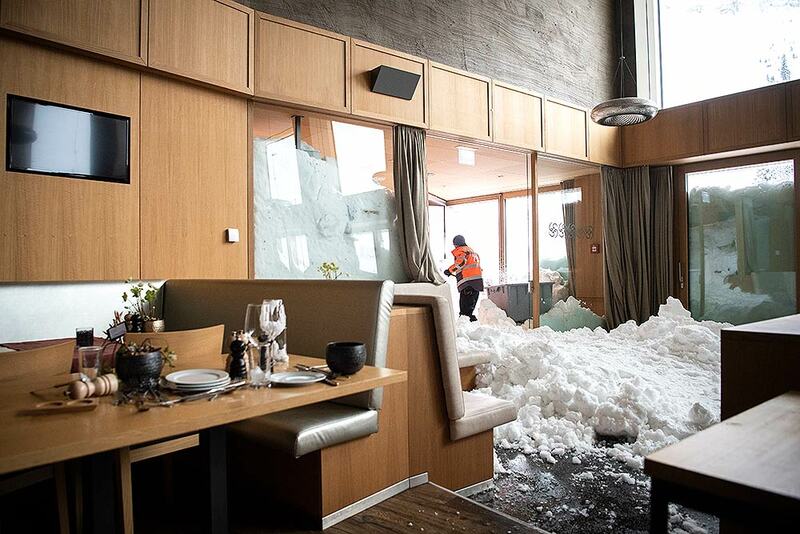 A man works on the destruction inside the Hotel Saentis on the Schwaegalp, Switzerland, after an avalanche hit the hotel a day before. 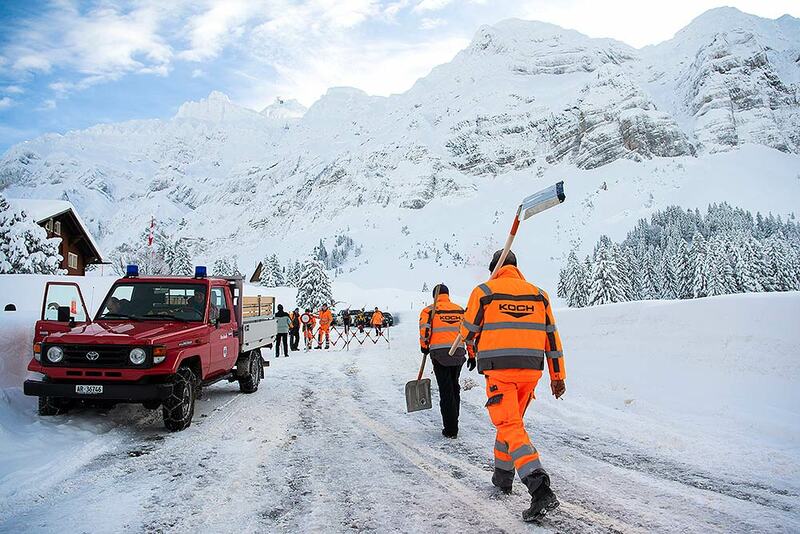 Worked walk over a street near the Hotel Saentis on the Schwaegalp, Switzerland after an avalanche.